People often think that tuna salad is a healthier alternative when eating at places like Subway. A plain tuna salad on wheat is 24 big Gs of fat at Subway. Let’s not talk about how much in a footlong with cheese (okay, over 90 Gs). Cutting out the mayonnaise is good. Yogurt is better. Olives are anti-inflammatory. 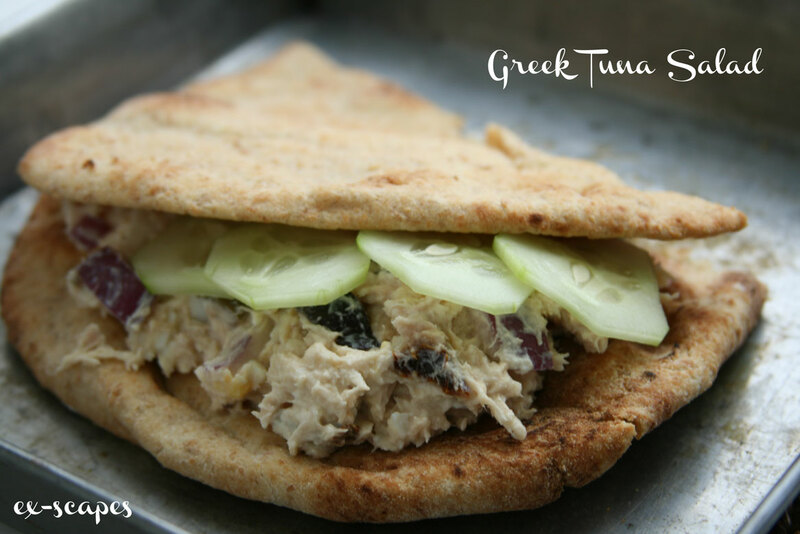 Tuna is Omega3. Red Onion helps libido and makes you cry. So I got thinking Greek. 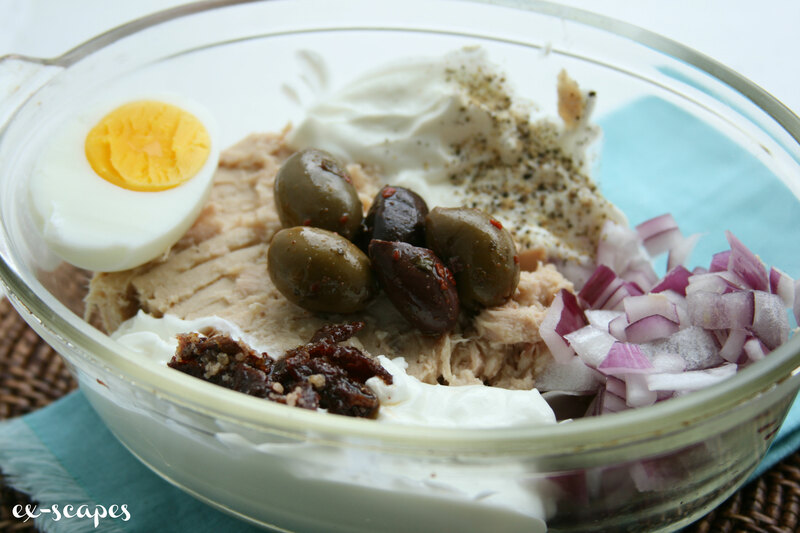 Variation: Make the Greek yogurt into a tzatziki sauce! Those cucumbers look good on there also!